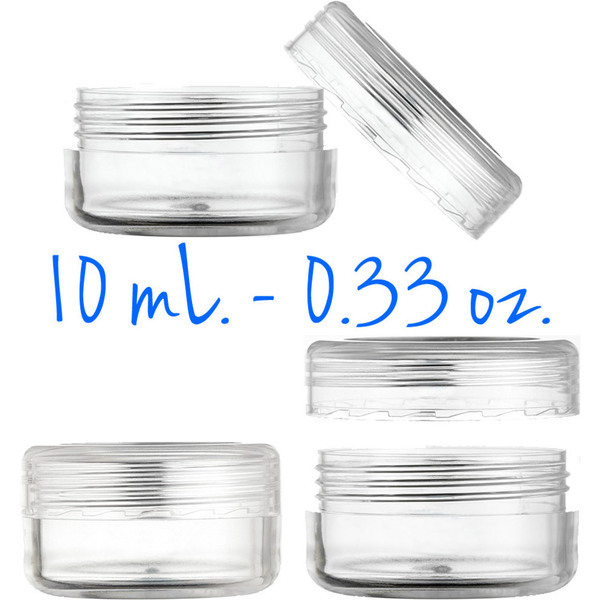 Clear Round Sample Jars - Threaded Jar and Clear Cap - 10 mL. - 0.33 oz. Clear Round Sample Jars - Threaded Jar and White Cap - 10 mL. - 0.33 oz. Clear Round Sample Jars - Threaded Jar and Black Cap - 10 mL. - 0.33 oz.